Recently, I was inspired to turn Jenga into a real life math lesson after seeing what people were doing to it at one of my local haunts. So it should come as no surprise that I found another practial mathematical application using another popular game there: playing darts. 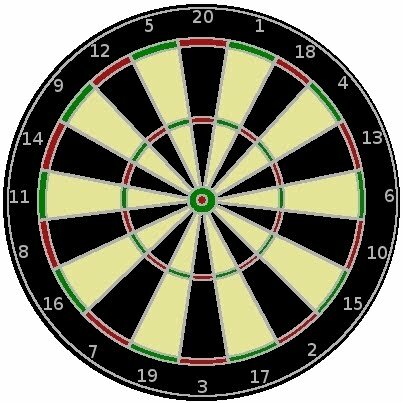 A dartboard is a beautiful and dense geometric figure, where finding the area of of each part would involve multiple steps beyond finding the area of a circle. That's great practice for standardized tests where students are challenged to do the same thing with much simpler figures. Then, of course, there's the probability aspect of actually playing the game--and you know how much I love probability games. The activity I designed has two parts: geometry and probability. In order to find the theoretical probability of hitting different parts of the board, you need to know the area that you're aiming for out of the total area of the board. Finding the chances of hitting a certain region of a larger figure is another typical standardized test question, but again I think it's much more challenging than anything test authors might include. So in Part I, students find the area of the entire board, the inner and outer rings, the inner and whole bullseye, and of each numbered section of the board. I had them leave their answers in terms of pi, because when they go on to probability, it will cancel out of their fractions. I also told students to put all of their answers as fractions or mixed numbers, because in this case it is better conceptually than resorting to decimals. In Part II, things start out relatively easy, with students finding the probability of hitting particular parts of the board with any given throw. Then, the questions move into the chances of hitting one of several parts in a given throw--such as nailing 20-15 or the bullseye in the traditional game of cricket. The final few questions deal with compound probability, such as hitting the same numbered section on three consecutive throws. This is a challenging but not impossible assignment, and I think the real life connection of this idea will help engage students in the work. 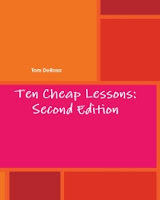 It should be appropriate for a well-prepared Algebra I class, but certainly for Algebra II, Geometry and beyond. 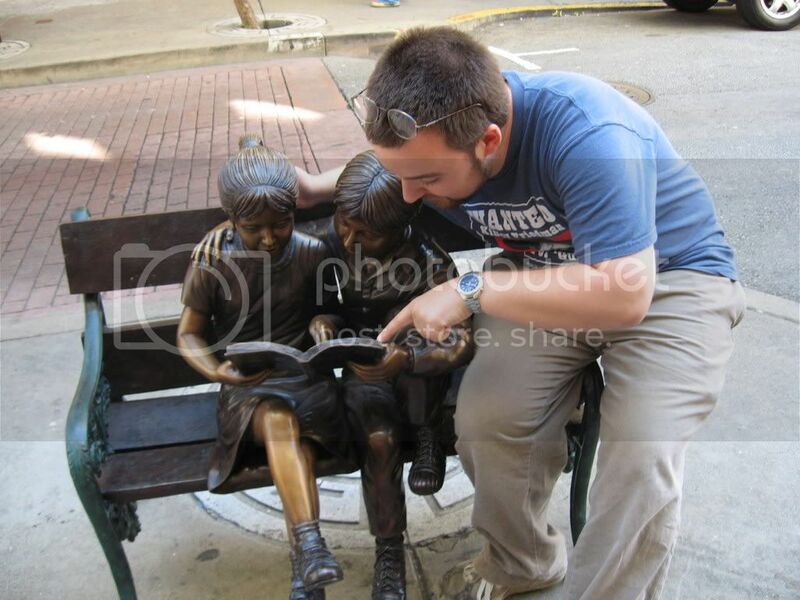 I also think math geeks would have fun playing around with this as well--I certainly did! If you want another hook to get your students to take on the challenge, bring in an electronic or velcro dartboard as a reward for hard work afterward. 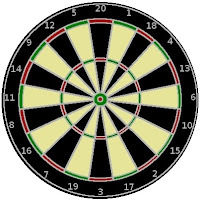 Actually, now that I think about it, I'd love to have a dartboard in class at all times, and allow students to play if they could find the probability of hitting whatever they were aiming for before throwing! 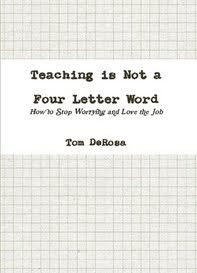 You can find more ideas like this in Ten Cheap Lessons: Second Edition and the inspiration to create your own in my upcoming book, Teaching is Not a Four Letter Word: How to Stop Worrying and Love the Job.